Alien: Covenant sees Ridley Scott returning to the world he created in 1979 with the iconic Alien. Covenant picks up just a little over a decade after the events of 2012’s Prometheus. 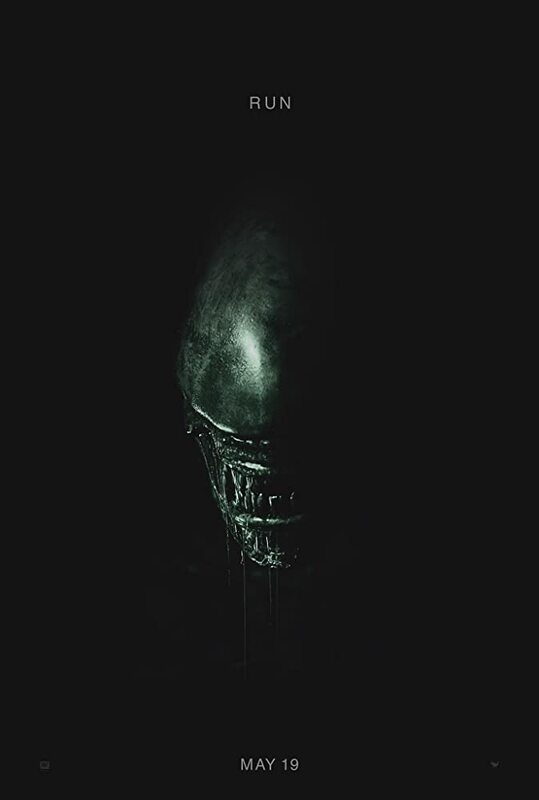 The reaction from Scott’s last installment in the Alien-verse left fans mixed as some found the story too underdeveloped and lacking the scares of the previous films. Others embraced the idea of further building on the lore of the originals and found the sci-fi aspect more compelling than the horror. Scott and co do their best to satisfy all parties as Covenant delivers on the idea of creation and purpose while still adding chills down the back with gory horror. At 123 minutes, Covenant rarely drags which is a detriment to the storytelling. The film keeps a consistent pace throughout but sweeps past important plot points as well as character development. As carnage ensues on this mysterious planet we never resonate with the Covenant crewmembers as the majority of them are one note. Only a few of the characters are fleshed out and help to propel the story forward. Still, fans of the franchise might be disappointed with the latest installment as it falls victim to the usual tropes of horror films nowadays. When the camera gives blatant nods to specific set decoration or unnecessary insert shots, the element of surprise disappears. It’s already been established that the aliens are terrifying, there is no need to spoon feed the viewers with what the outcome is going to be. Many of the slasher set pieces would have benefited from less instead of more, providing more shock value for the characters and moviegoers alike. The film itself is gorgeous to look at as New Zealand doubles as the ominous unknown planet. Featuring a slew of shots that help to establish the scale and scope of the new world, Ridley Scott takes full advantage as he lets the Covenant crewmembers (and unknown creatures) roam free. From the moment the opening credits roll you feel a sense of urgency thanks to the eerie score composed by Jed Kurzel. Incorporating themes from both Prometheus and Alien, a sense of dread lingers throughout. Cinematographer Dariusz Wolski, who shot Prometheus and 2015’s The Martian, once again shows he has a knack for shooting spacecraft’s and planets that aren’t Earth. Featuring an impressive ensemble cast (and a James Franco cameo!? ), the standouts of the film are without a doubt Michael Fassbender, Katherine Waterston, and Danny McBride. Fassbender tackles the role of two androids, Walter who monitors the Covenant and David, who manned the Prometheus ship from the prior film. For two manmade robots that were built for these expeditions, they both manage to be the most developed of the characters as they’re faced with confliction on what is right and what is wrong according to their creator. Waterston plays the Ripley-like Daniels who takes the reigns when hell breaks loose. McBride surprises as Tennessee the pilot, adding levity with his humor and stoic performance. Though Waterston and McBride aren’t given a lot to work with they manage to give relatable performances that make it easier for the viewers to root for. The other cast which includes Billy Crudup, Demian Bichir, Carmen Ejogo, and Amy Seimetz are all fine but the choices made by their characters are idiotic and nonsensical. These crewmembers are esteemed workers in their respective fields of work, the decisions made by them throughout the film are head scratchers. After years of researching the original destination planet they instead insist on moving forward with the colonization mission on an unknown planet that appears out of nowhere. 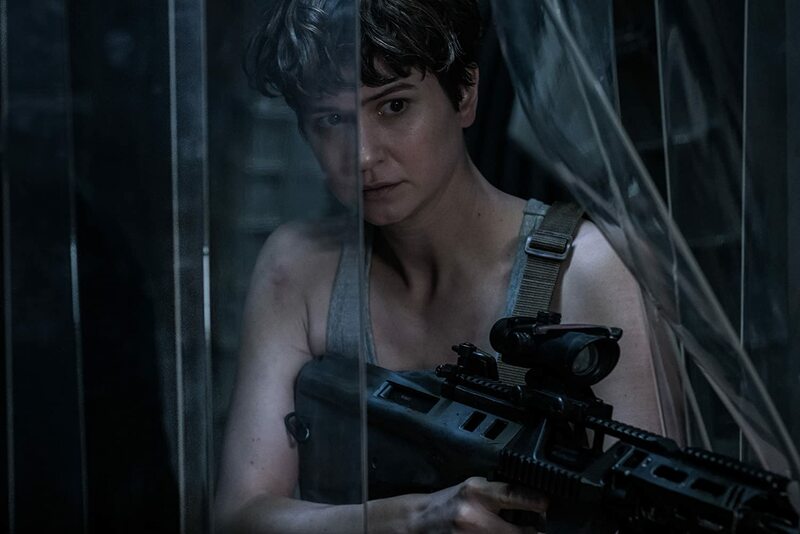 Alien: Covenant manages to give fans of the franchise what they want in small doses. Occasionally getting a few easy scares, the aliens themselves are never menacing which is a result of the use of CGI instead of practical effects. A stylish film that lacks any real substance due to the bland characters making cliché decisions that results in typical destruction. Ridley Scott doesn’t bring anything new or innovative to the table and instead relies on the nostalgia of his old films to carry Alien: Covenant to the end credits. Much like Prometheus, this could result in a divide amongst fans of the beloved franchise. I’d like a coupon pls. Thank you, if I don’t watch it, how can I know your review is relevant or not?